Nothing adds to conversation better than obnoxious advertisements. When Microsoft acquired Skype in 2011, you had a feeling that Skype would undergo some big changes. Well here in June 2012 the first of probably many has come aboard. 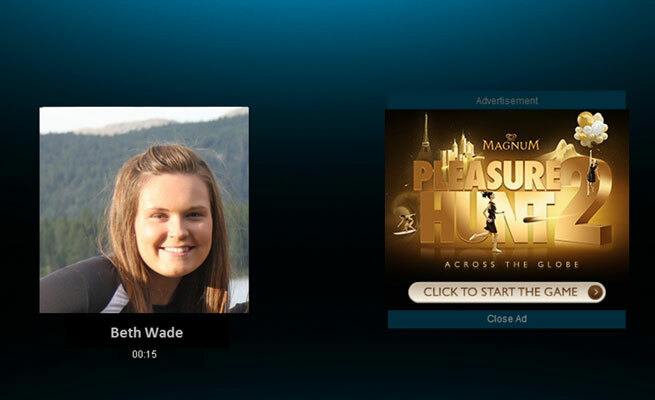 Windows users of Skype audio calls will have the enjoyment of a visual ad on screen during calls. These ads will only affect free-users or Skype, or those without Skype credits. Microsoft went on to say that the ads will “generate fun interactivity” with your calls, and of course will spark new topics to talk about. I think the only topic I’d bring up is how annoyed I am at the ads. It is yet to be known if the ads will appear for Mac or mobile users, but my common sense and intuition tell me that it won’t be too far behind.